Poverty in Ethiopia can be reduced when students receive an education. 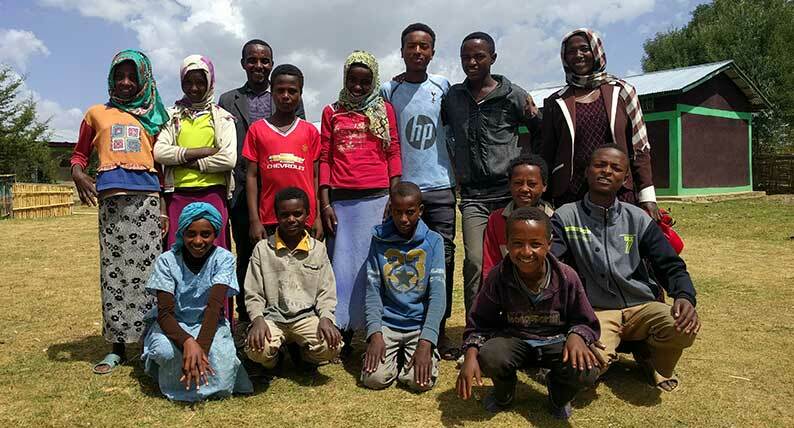 Lack of clean water and sanitation (clean bathrooms), particularly in rural parts of Ethiopia, are a significant roadblock for young boys and girls. In fact, in the Bensa region where Lifewater serves, none of the 16 schools (a region comprised of 20,000+ students) have both a clean water source and safe bathrooms. When children are sick from unsafe water or when water and sanitation are not available at school, they miss out on their education, which keeps them in a devastating cycle of poverty. Girls are especially at risk of dropping out when they begin to menstruate. From 50-80 students dropping out to 0. That is an earth-shifting change for a young woman whose path was blocked with poor health, indignity, and lack of education, and a significant step for reducing poverty in Ethiopia. Children like Kamiso are often the first to adopt the behaviors of good sanitation and hygiene, the first to realize their benefits, and the quickest to share them with others. At each school where Lifewater serves, students form WASH (water, sanitation and hygiene) clubs. These volunteers dedicate their time to teaching others about healthy habits, and take responsibility for the condition of the facilities at their schools.